'Burning Sun' reached the top ten play list on BBC Radio 2. Plays followed on BBC Radio 1, World Service and stations as far afield as Los Angeles and Latvia. A magical and atmospheric blend of folk songs and originals with haunting words and melodies. 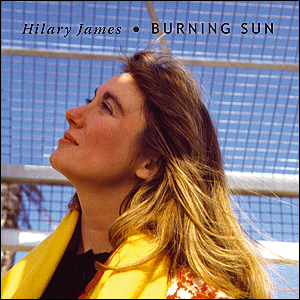 'Burning Sun', includes the spell-binding folk tales of 'The Two Sisters' and 'Polly Vaughan' alongside Handel's beautiful lament, 'Laschia Ch'io Pianga' sung with a bell-like purity.A magical blend of folk songs, classics and originals.